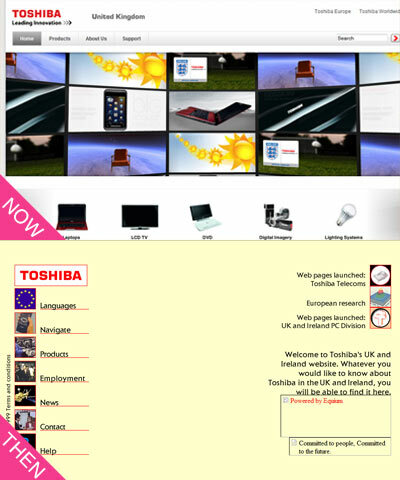 How did one used to navigate around the old Toshiba site? Just click on the text links? NO. You see? You must click the remote control icon to make it pop up and then click a button. What could be simpler? Now why didn’t that catch on? 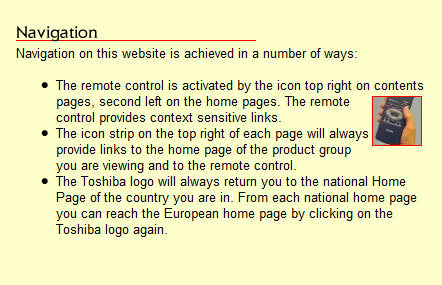 This entry was posted on April 2, 2010 at 2:02 pm	and is filed under Toshiba. You can follow any responses to this entry through the RSS 2.0 feed. You can leave a response, or trackback from your own site.